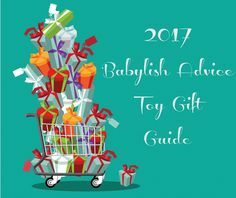 Here is a (LONG) preview of some of the great toys to help get the ball rolling with those lists your kids are making. All new Transformer: Age of Extinction sets starting with small building sets (DINOBOT CHARGE SET), Medium sets (GRIMLOCK STREET ATTACK SET) and large building sets (GALVATRON FACTORY BATTLE SET). All are very reasonably priced and of course easy to assemble as each has a step-by-step guides which will walk you through building it. What’s unique about these sets and many others is that the main building figures have magnets in them to capture the characters .. NEAT right??!!! Next on my list is the NERF N-STRIKE ELITE COMBAT CREATURE TERRADRONE which looks like an enormous bug and is powered by a remote control and works on all terrain. Just aim and fire. Comes with 12 darts ($69.99 – Available in November) – This was very cool!